Human Capital Audit: a 3600 review of the way in which your company manages its most valuable asset, Human Capital. Strategy development: build an HR strategy based on the information learned in the audit. Ensure the strategy dovetails effectively with the company’s overall vision mission and goals. Tailor employment agreements for employees, casuals, fixed termers and independent contractors. Conflict resolution, Strike handling and mediation. 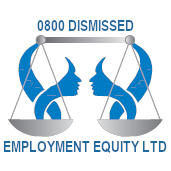 Client representation at; disciplinary hearings, investigations, Mediations, arbitrations, Labour court and Appeal Court.